FILE - In a Friday, Sept.
NEW YORK (AP) - Gov. 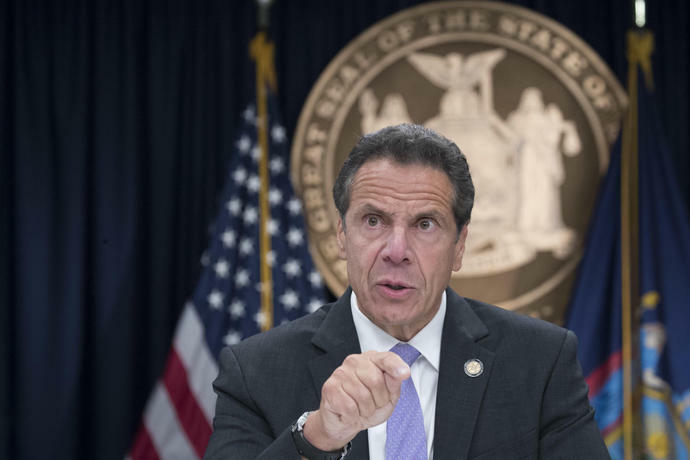 Andrew Cuomo questioned Sunday why state Republicans would have invited the founder of a far-right group to speak in Manhattan, and he blamed them and President Donald Trump for violent clashes that took place after the speech. In a conference call with reporters, the Democratic governor called the invitation to Proud Boys founder Gavin McInnes to speak at the Metropolitan Republican Club a "political tactic because what they're trying to do is fire up their base" ahead of the midterm elections. "Why would the Republican Party at their main club invite the Proud Boys?" Cuomo asked, pointing out that they have been designated as a hate group by the Southern Poverty Law Center. The Proud Boys is made up of males who describe themselves as "western chauvinists." The state Republican Party called Cuomo's comments "outrageous." The Republican Club had been vandalized ahead of the speech, with officials saying the damage included smashed windows, a spray-painted door and a keypad lock covered in glue. A note left at the scene claimed that the damage was "just the beginning." 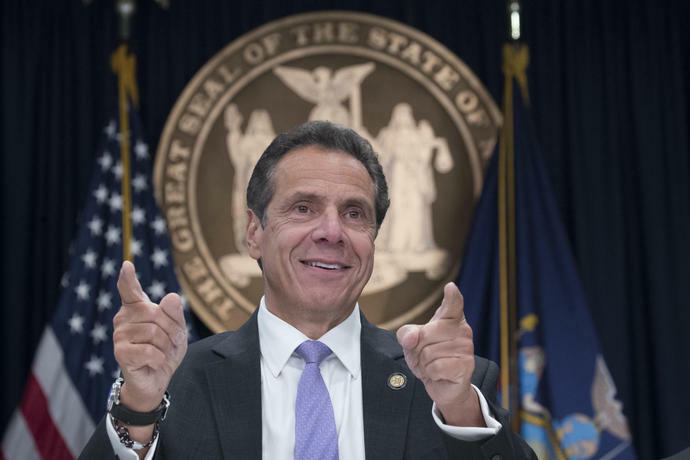 In an emailed statement, spokeswoman Jessica Proud said, "It's unconscionable that when Republicans were attacked and threatened, Governor Cuomo said absolutely nothing. Violence of any kind has no place in society, yet the governor - who is charged with ensuring everyone's personal safety and property is protected - only thinks those rights should be afforded to Democrats. It's not surprising coming from the man who said conservatives have no place in the state, but it's nonetheless outrageous."